Most professional riders hone in on one particular discipline early on in their careers, focusing solely on show jumping, eventing, reining, polo or some other specific equestrian sport. Jennie Brannigan, a professional event rider based in West Grove, Pennsylvania, took a slightly more divergent road to the top. At 13, she started working for eventer Allison Springer, then moved to California to work for eventer Natalie Rooney. Always interested in other disciplines — just so long as they included horses — she then worked for acclaimed show jumper Susie Hutchinson, also in California. But it wasn’t until she started working for Olympian Phillip Dutton in West Grove, PA that she really focused in on growing Brannigan Eventing, making a name for herself as a three-day eventer, a trainer, rider and coach. In those days, Jennie had a strong business partner in Cooper, a talented event horse that took home the U.S. Eventing Association Intermediate Horse of the Year in 2008, and who helped Jennie win nine out of ten events at the Intermediate level from 2007-2008. But in 2009, Cooper suffered a tendon injury and several subsequent injuries and sicknesses, and Jennie was forced to put him down that fall. The loss of a “dream horse” would be enough to give any rider pause, but Jennie threw herself back into the field, continuing to ride with another talented partner, Cambalda, or “Ping.” Thanks to Ping, Jennie continued to compete, and together the two moved up through the ranks to the Advanced level, finishing out 2014 by winning the Fair Hill International CC13* and being named National CC13* champions. In the meantime (just to keep things interesting), Jennie also started exercise-riding thoroughbred racehorses in Fairhill, Maryland in 2013 — and then raced in her first real race in March of this year. It’s safe to say that Jennie is an extremely well-rounded competitor across several disciplines, even as she and Ping continue to rack up consistent numbers of three-star wins and were named as traveling reserve for the U.S. eventing team at the Pan-American Games. Despite a busy travel and competition schedule, she still enjoys morning gallops on former Olympic show jumper Michael Matz’s race horses, before heading to her own barn to get started there. Balance is something Jennie strives for across the board when it comes to her feeding program, too. She keeps between 16 and 20 horses in her barn most of the time, and feeds SUCCEED as a regular part of her routine. 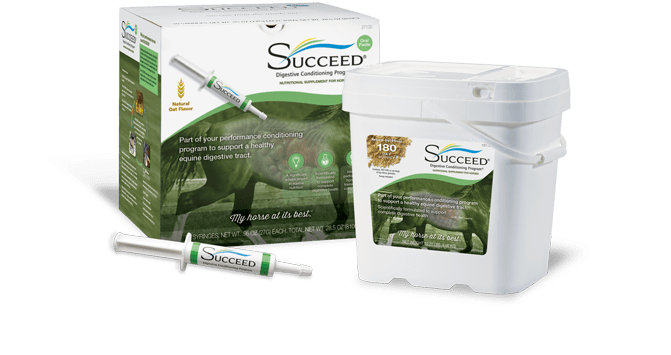 “I won a free month’s supply of SUCCEED for Cooper back in 2007, and considering the amount of travel we were doing then, was pleased to see the difference it made,” Jennie says. “He looked good all over, and I liked how it was a whole and complete digestive-health product,” she says. 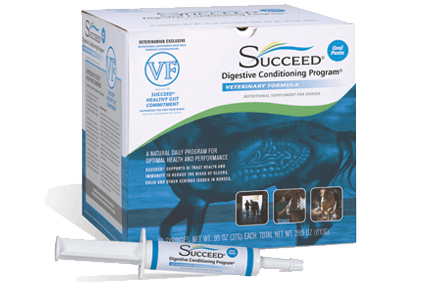 For Jennie, who runs a sales operation in addition to her training and competition schedule, SUCCEED is a natural choice for horses that need a little extra boost. 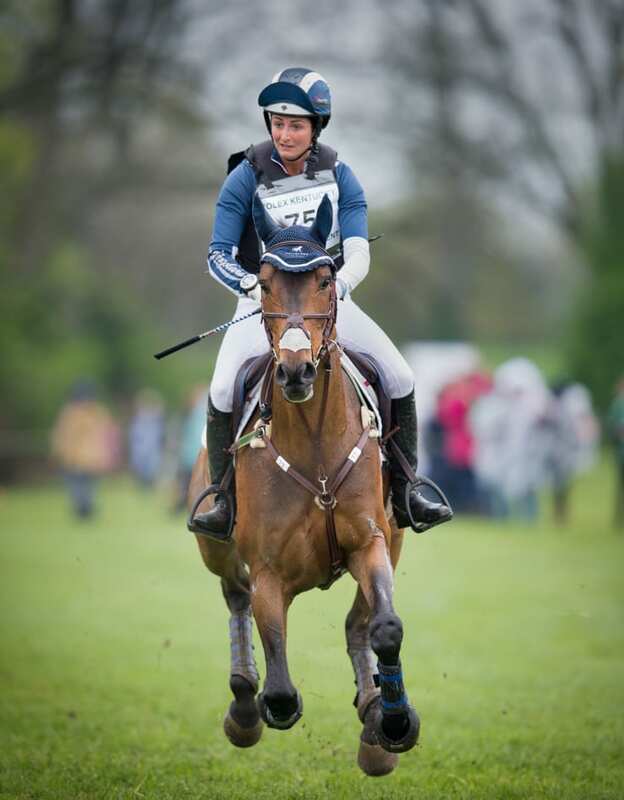 Keep up with SUCCEED-sponsored rider Jennie Brannigan by subscribing to the SUCCEED blog.